Like most Americans, I have been in a car accident myself. Just a small handful of them. In fact, only this past fall my wife and I were in an accident. I also treat people every day that have been in car accidents. So I can give you some advice based on what I’ve seen and experienced on what you want to do if (and when) you’re in a car accident in the future. # 1: If you or somebody else that you know is saying go to the emergency room, just go. Go to the emergency room, get checked out. There are things that they are going to do there to make sure nothing’s broken. There is a possibility in some accidents that you could have an internal bleed. Even if you’re not experiencing a fracture, you can have slow lingering things that may not appear as symptoms right away, and you want to get those checked out. You want to make sure if you’ve sustained an injury that it’s not life threatening. A lot of times, the initial symptoms of those things don’t always appear as something dangerous. The first thing that they’re going to do when you go to the emergency room is evaluate your symptoms. Find out how the accident happened, if you were rear ended or t-boned or whatever. Then, they’re probably going to take some x-rays or a CT, and the reason why they do that is just to clear the fact that you’re not going to die. Or if there is something, heaven forbid, if you have a hemorrhage or a fracture, that you’re in the right place to get that taken care of. # 2: Exchange car and insurance information with everybody involved at the scene. I have had patients that have been in car accidents, and it’s one of those things that is easy to forget. If you don’t get information from the other parties involved, then you have to wait until you have a police report and find out who they are. One tip that I tell people: when you’re on the scene, instead of scrambling for a piece of paper and a pen, most people have phones that have cameras on them now. So when you’re at the scene of the accident, say you’re on the side of the road and you’re talking things over with the other drivers, just take out your phone and snap a picture of their insurance card and their driver’s license. That way you have a name and their address. Just make sure it’s their current address! # 3: Call your Chiropractor. Don’t have one? Get one. Right away. I have taken care of so many patients before, and they get in a car accident and they are calling me two weeks after the car accident because their neck started hurting two weeks after the accident. One of the things that they’ll tell me is, “Oh, I was a little sore after the accident, but I just figured it would kind of go away on its own. I don’t want to get involved with anything, I just want to let it heal.” Unfortunately a lot of times that doesn’t happen the way we want it to. It’s very well known that the symptoms of a whip lash, or a lower back sprain from a car accident might not appear right away. 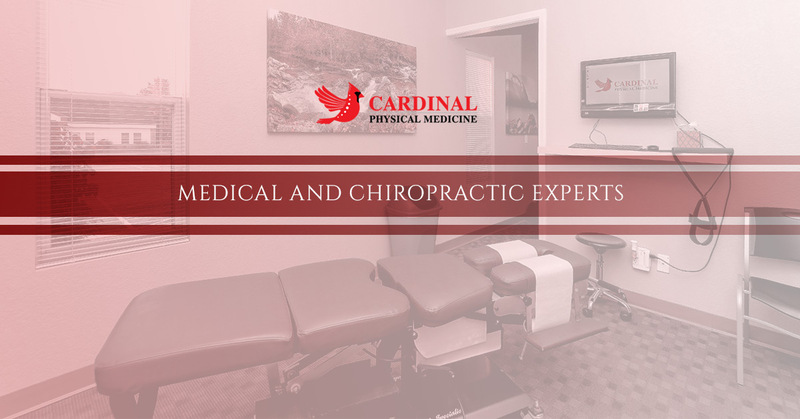 The best thing to do is to call your chiropractor, or if you’re a patient of mine or you live in the St. Peters or St. Louis area, call me. Right away, same day call me. You will actually recover much quicker than letting the condition turn chronic (which starts happening at around two weeks) and then trying to treat it. The treatment takes a lot longer if you wait a couple weeks or even a week to get checked out. There is plenty of research now, too. Car accidents happen all the time, and it’s a big industry for car insurance to get out of paying. Because of this there is a lot of research that goes into car accident injuries. One of the things that researchers found is that even a 5 mile per hour fender-bender is all it takes to speed up arthritic changes, like degeneration in your joints and muscles over the course of your lifetime. It’s essentially like speeding up the aging process by not getting proper rehab right after an accident. Be sure to read Part 2 of this series to learn the last 2 steps you definitely don’t want to forget if you’re in a car accident! Click here!